Our self catering apartments in Bridlington are located right on the seafront of Bridlington's South Beach and enjoy spectacular views across Bridlington bay. All four of our self catering apartments have been rebuilt and redeveloped by ourselves over a number of years with a discerning clientele in mind. Comfort, attention to detail, and spacious bright living areas has been our aim throughout. Having just finished our long-term project we feel confident in claiming that our self catering apartments in Bridlington represent the most luxurious and prestigious examples of holiday accommodation in the area. Click here to see a video of all 5 Apartments. 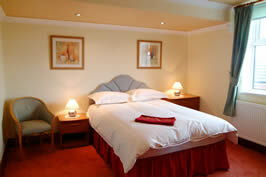 All bedrooms are tastefully decorated throughout. 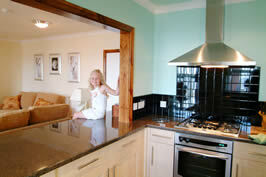 All our self catering apartments are either two or three bed-roomed with master rooms, all of which are en suite. Kitchens are either American style diner design or conventional. All kitchens are contemporary in design, fully equipped with microwaves, dishwashers, fridges and freezers. 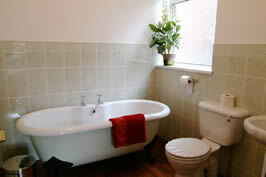 All apartments are equipped with two bathrooms, one containing large walk in shower units and one featuring a bath. The Living rooms in the apartments are spacious and decorated to the highest standards and fully equipped with DVD players (and a selection of DVD's), wide screen TVs, high-fi's and dining room tables. 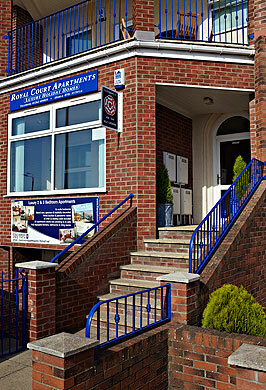 Each apartment has its own large, private balcony, equipped with real, hardwood garden furniture. 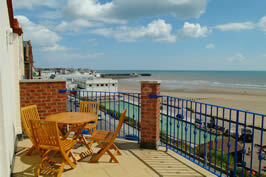 Each balcony offers breathtaking views of Bridlington South Bay. Bridlington is a great place to visit and a stay in one of our holiday apartments will not dissapoint you or your family. 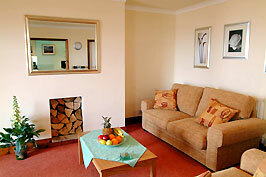 Please do not hesitate to contact us about any of our holiday apartments which are available all year round.